Recorded at ITV's WOS Wrestling press conference on at MediaCityUK in Salford on Monday, here's our interview with former PROGRESS World Champion, Rampage Brown! ATPW - So Rampage, how does it feel to be here today with WOS Wrestling and ITV and to be part of such a big project? Ramage Brown - Yeah, it feels really good. Obviously anything to do with British wrestling being on TV again is "sign me up". I'm happy with that. It feels great to be apart of it. On the special, you tagged up with Ashton Smith, how do you feel that went? Yeah, it was good. Surprsingly, because no one had seen me and Ashton as a team before, but we got a lot of good feedback. Me and Ashton are good close friends, that's the thing with a good tag team, you've got to get on outside the ring as well as inside the ring. It was good to share the ring with him definitely. You faced off against the Coffey Brothers, who've you've worked with in the past, how was it to share this stage with them? It was an experience as always, you're in their running about, blowing up and slamming yourself around. It is what it is. But they're a highly respected tag team. I've got so much respect for them both. Good guys. I couldn't think of a better think of a better team to share the ring with. 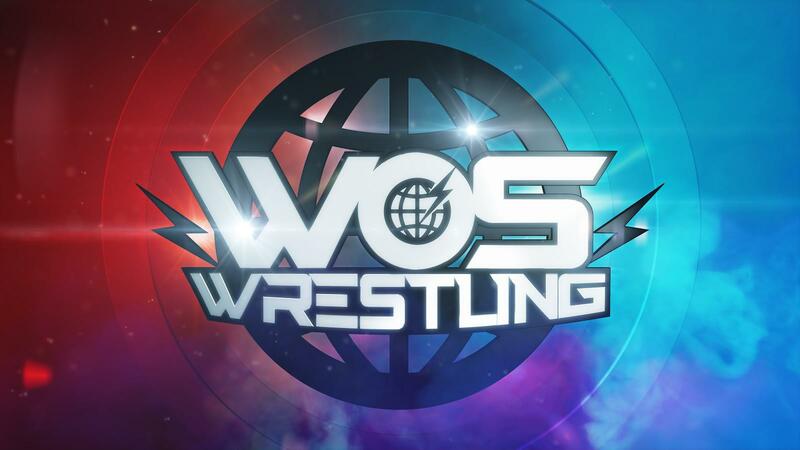 The WOS taping is coming up in Preston in May, obviously a place you're very familiar with from working for PCW, what do you think the city will bring to the show? They will bring their own atmosphere. As long as other fans don't get intimidated by that and jump in their and have fun, because not everybody's a wrestling fan in that capacity. There'll be families and things like that. Yeah, it should add to the atmosphere, as long as they're aware that there's other people around as well. I think it'll be great and add to the show. As long as it's lively. There's nothing worse than when people sit on their fingers and do nothing. Without a doubt, they definitely did a good service to the show. You've worked both sides of the coin in wrestling, you've been a good lad, you've bad lad, do you have preference or is it all about getting a reaction? No I don't have a preference, I used to do, but now I don't really care. It's all about going out there and doing your job, going out their and doing what you're hired to do. With IMPACT Wrestling coming in, you were on the second series of TNA British Bootcamp, did you take anything from that experience or was it all about the opportunity? It was just a situation that came up at the time and it was a just a way of making money. I'm sorry that I can't tell you anything other, but that's just what it was at that time. Do you think there's going to be an opportunity for guys who work for WOS to get seen on American TV? Would you be open to that? Possibly. Only the future will tell. What was it like to be featured on a main stream channel and get such a prestigious slot on New Year's Eve? It was one of those things where it just kind of came out of nowhere, so it was hard to take it all in. When you actually saw it on the TV at the time, it was a bit surreal. But again, it's all apart of the journey. Did you ever, ever think this was going to happen? Not in my lifetime, not in my time in the ring. I feel fortunate that it has and that I'm apart of it. I'd like to thank Rampage for taking the time to speak to us on Monday and we'd love to get an opportunity build on this short interview in the future. WOS Wrestling tapes for TV at Preston Guild Hall on 25/26 May and tickets go on sale on 9th April at 9am for Gigs and Tours, Tickermaster and Preston Guild Hall.